Its soup season! There are two things I love. Soup and spicy food. This recipe combines both! I was scrolling through recipes trying to find a metabolism boosting soup to make. 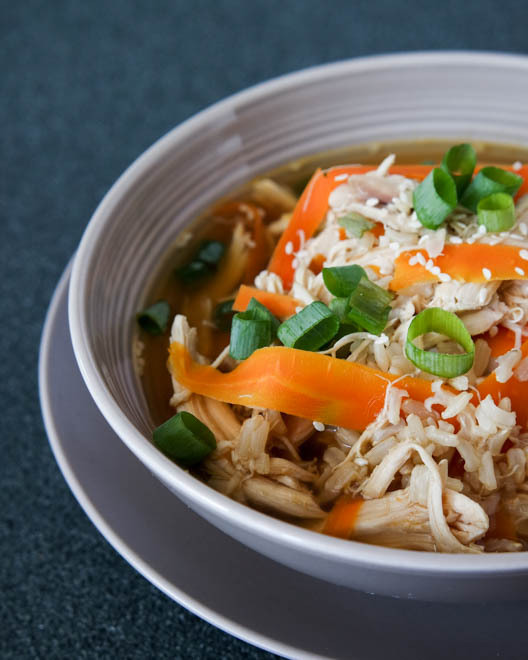 And I cam across a recipe on EatingWell.com for a Korean Chicken Soup! I added a few things to the recipe and it turned out absolutely delicious! Instead of left over chicken or poached chicken like suggested in the recipe I used a small rotisserie chicken from the super market! Also I used tamari instead of soy sauce and brown rice instead of white! I wanted to make it fit the guidelines of the Tone It Up Nutrition Plan that I follow! In addition I also added shaved carrot for more color! Bring broth, garlic, and ginger to a boil and add in rice. Reduce heat and allow rice to cook until tender. About 15 minutes. While rice is cooking shred up chicken by pulling apart a cooled rotisserie chicken with your fingers or a fork. Once rice is tender reduce heat to low and add in tamari, sesame oil, chili sauce, and chicken. Stir well and allow to cook an additional 10 minutes. 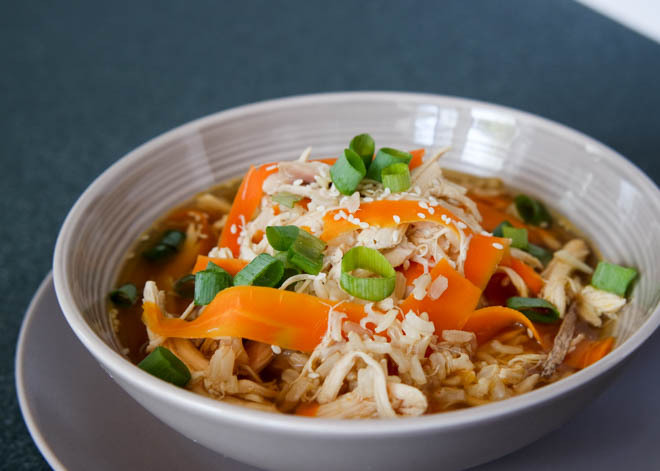 Scoop soup into bowl and top with sesame seeds and chopped scallions! 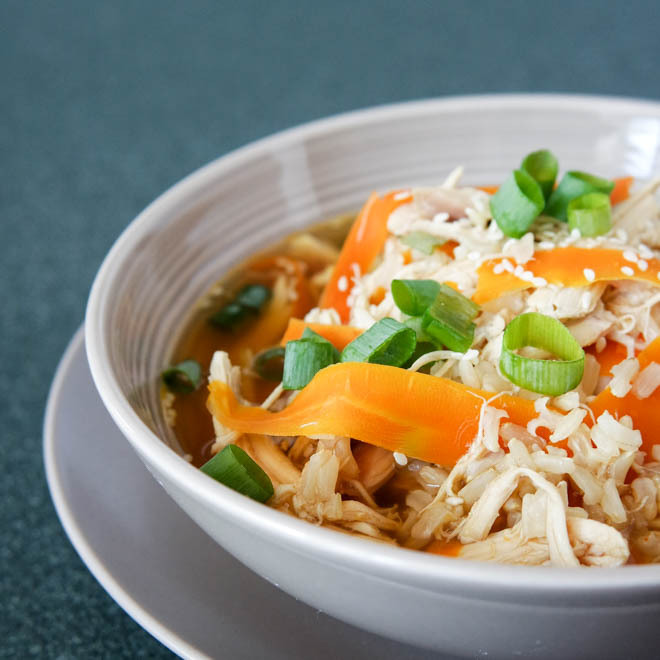 If you are a fan of spicy metabolism boosting foods… this recipe is perfect! Especially in chilly weather!